Thandie Newton | Cornwall For Ever! Thandie Newton is an award-winning actor and social campaigner. She grew up in Penzance and has spoken publicly about the racism she faced. Thandie has also written about how Cornwall offers young people security and wisdom. Thandie Newton yw gwariores re waynyas pewasow, ha kaskyrghores social. Hi a dheuth dhe oos yn Pennsans ha re gewsis yn poblek a-dro dhe’n hilgasieth a enebis hi. 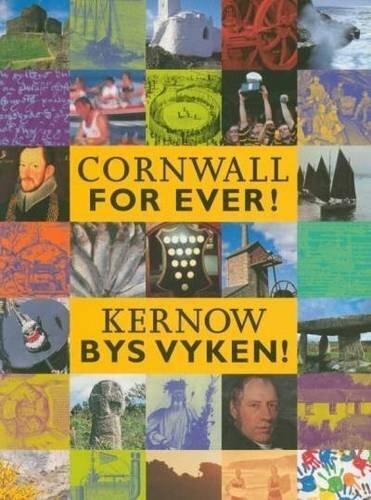 Thandie re skrifas ynwedh a-dro dhe fatel brof Kernow diogeledh ha furneth dhe dus yowynk. Thandie Newton’s parents lived in Zambia in Africa. Her father is British and her mother is from Zimbabwe. Thandie was born in London, while her parents were making a visit to Britain. The family returned to Zambia but settled in Cornwall when Thandie was three years old. Thandie grew up and attended school in Penzance. She has spoken publicly about the difficulties she had fitting in in Penzance and the racist abuse her family received. Thandie found that dance and acting helped her to overcome feelings of isolation and self-doubt. Thandie starred in the film Flirting in 1991. She then attended the University of Cambridge, taking a degree in anthropology. After graduating, Thandie returned to acting and was cast in a number of radio, television and film productions. In 2006, she won a BAFTA for her role in the film Crash. Other film appearances include Mission Impossible 2 and Run, Fat Boy, Run. In 2006, Thandie wrote the introduction to a book called We Wish: Hopes and Dreams of Cornwall’s Children. The book was produced by University College Falmouth (now called Falmouth University), working with the National Society for the Prevention of Cruelty to Children (NSPCC). In 2008, Thandie visited Mali in Africa with the charity World Vision to raise awareness of the lack of clean water in that country. She has also worked with the 'One Billion and Rising' movement to help bring an end to violence against women.